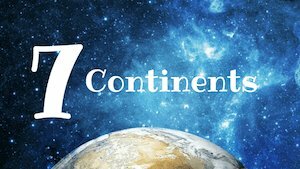 Our Continent Facts for Kids bring you lots of interesting and fun facts on the continents of the world. There are seven continents on our planet. These are: Africa, Asia, Antarctica, Europa, North America and South America and Oceania/Australia. 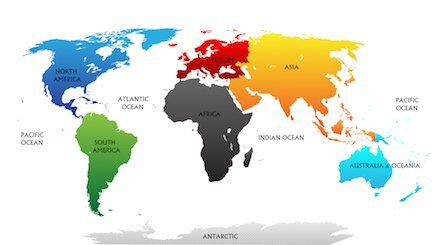 These 7 continents vary in size and population numbers. 1. Asia is the biggest continent. It has the biggest land area and the world's biggest population. This means most people live on the Asian continent. The continent has the most populous cities, which means there are the biggest cities in the world with many million people living in the urban centres, such as in Delhi, Tokyo, Shanghai, Beijing. 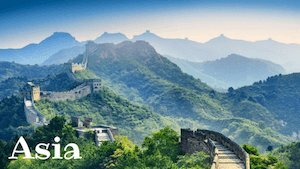 Read more about the Asian continent here. ﻿2. Oceania is the smallest continent of the planet. 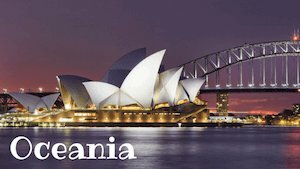 Oceania includes Australasia, Polynesia, Micronesia and Melanesia. This means Australia, New Zealand the many islands to the north and east of Australia in the Pacific Ocean are on this continent. Read more about Oceania here. ﻿3. Africa is the continent that has the most countries. There are 54 countries on the African continent. As the oldest human fossils such as skeletons and skulls have been discovered in Africa, the continent is also called the 'cradle of humankind'. 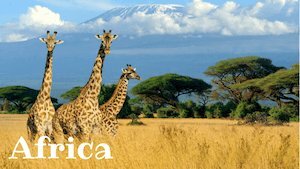 Read more about the African continent here. 4. North America is a continent which is located entirely on the northern and western hemisphere. It includes the United States of America (USA), Canada, Mexico, Greenland and the Caribbean islands among other countries. North America is home to the largest Christian population in the world. Almost 80% of the people in Canada, the USA and Mexico consider themselves as Christians. 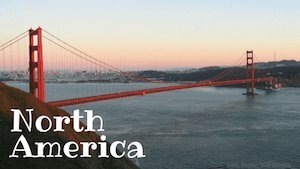 Read more about North America here. 5. Europe is considered to be the wealthiest and richest continent, however, there are poor regions especially in the eastern parts of the continent too! 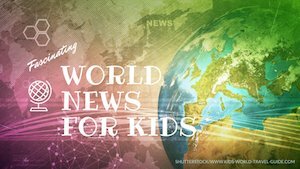 Read more about the European continent here. 6. 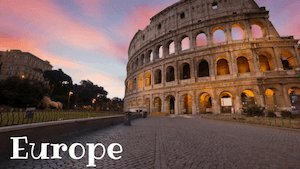 Europe houses the two smallest countries in the world: Vatican City which is located inside Rome/Italy and Monaco which is bordered on three sides by France. Actually, five European countries make it on the list of the ten smallest countries in the world which include also Monaco, San Marino, Liechtenstein and Malta. All other tiny countries outside Europe are located on islands! 7. The most languages are spoken in Asia - over 2 300 languages! However, most of these languages are spoken only by small groups of people. 2 000 languages of the world's 7 000 languages are spoken by less than 1 000 people! Chinese is the language with the most native speakers - with almost 1.4 billion people speaking it. English, however, is spoken by people in more than 100 countries worldwide. North America has the largest number of people who speak English either as their first language (231 million people) or as their second language fluently. ﻿8. South America is a continent of many natural superlatives. There are the longest mountain range - the Andes, the highest waterfalls - the Angel Falls - and also the driest place on earth. The driest place on earth is the Atacama Desert in Chile. 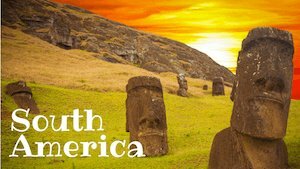 Read more amazing facts about the South American continent on our page here. 9. Asia houses some of the richest nations in the world. The tiny country Qatar on the Arabian peninsula is the richest nation in the world due to its income from oil exploration and the petroleum industry. Saudi-Arabia, the United Arab Emirates and Bahrain are also among richest countries in the world due to their oil reserves. 10. Antarctica is the smallest continent by population numbers. This means the huge continent is only sparsely populated. 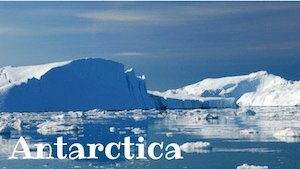 On Antarctica there are only research stations for scientists and no permanent settlements. Antarctica is covered almost completely by ice. 90% of the planet's ice is located on this continent, which also makes up 60% - 70% of the world's freshwater supply. Read more about Antarctica here. 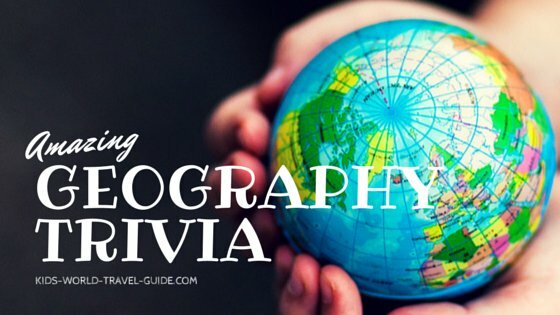 Want to know some amazing Geography Superlatives?